Author of Autism and Martial Arts: A Guide for Children, Parents and Teachers, is Dr Sandra Beale-Ellis, a 6th Dan Master in Karate. Beale-Ellis, from Kent, received a clinical diagnosis of Asperger Syndrome just a few years ago, whilst studying part-time at Sheffield Hallam University for a Doctorate in Education specialising in autism. In addition she has overcome childhood cancer, septic and osteoarthritis and resulting multiple surgeries and continues to prove she is capable of whatever goal she sets herself. 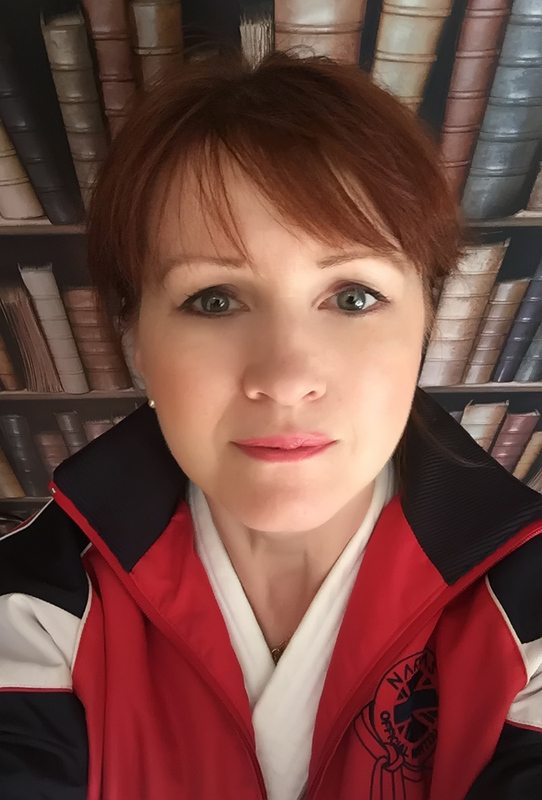 Beale-Ellis has over twenty years’ experience of teaching karate to students with and without special needs; fourteen of those specialising in autism. She also lectures and speaks on autism and her personal perspectives of turning adversity around. Additionally she is a qualified dance teacher, and has a work background in business administration and education within further education, the health and prison services and for certification bodies including City and Guilds and OCR. Autism and Martial Arts: A Guide for Children, Parents and Teachers is her first published book. It is unique in that it has been based in part on her doctoral research completed late in 2013 which explored the learning experiences within sport and physical activities including martial arts, from a wide range of autistic individuals’ perspectives; as well as her own personal experiences as a teacher and as a student. Beale-Ellis said: ‘my research and teaching has always been about the autistic individual’s needs and wants and not about the diagnosis or about medical assumptions. Each has their own goals, and I am keen to support them in reaching them as far as possible. My young students are at the heart of my work, and it was important to me that the book’s Foreword be written by the experts: young autistic students who train or have trained in martial arts’. This revolutionary book offers a start to finish guide for potential autistic students, their parents and for teachers who are or want to teach students with autism. The book is not about autism theory per se, but is an easy to read informative guide aimed at young autistic individuals who want to take up a martial art, but need to know more. Autistic children and even adults often feel intimidated to join a new activity because they have no idea what to expect. 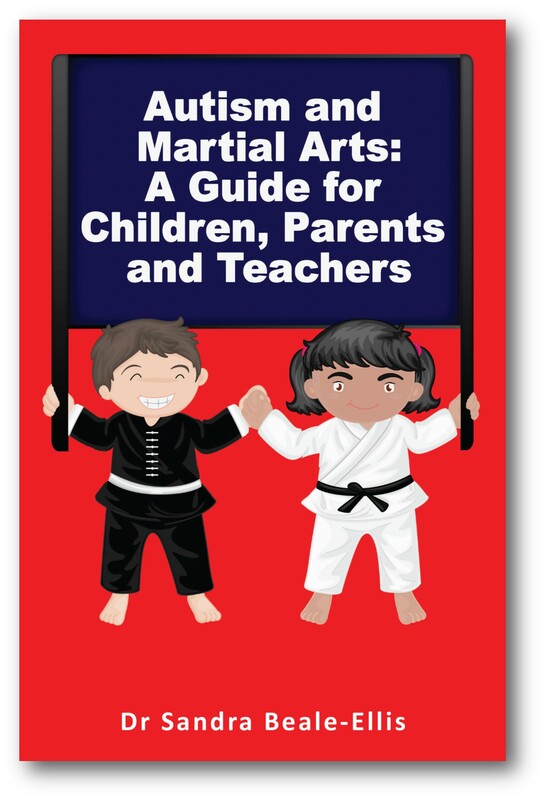 The book is distinctive in that it also offers parent advice, and has a section specifically for martial arts’ teachers who are either new to teaching autistic students or would like to expand their knowledge and skills. Beale-Ellis is keen to enable more martial arts’ clubs to be inclusive globally. She said ‘autistic students can benefit from the structure and discipline martial arts clubs offer, but it is essential that teachers know what to expect from their students, so that they can plan their classes to suit everyone while knowing how to accommodate any differences. Learning karate and tai-chi helped me personally to gain more confidence and I want the same for others. The coloured photographs in my book are of my own students, both autistic and non-autistic as inclusivity of training is important for young people to gain insight into differences both inside the class and elsewhere in their lives’. Beale-Ellis is proud to be on the board of a national martial arts governing body, and knows from her work that many teachers are interested in expanding their student base to be more inclusive but simply don’t know how. This press release was distributed by ResponseSource Press Release Wire on behalf of NAKMAS in the following categories: Children & Teenagers, Men's Interest, Entertainment & Arts, Health, Leisure & Hobbies, Women's Interest & Beauty, Sport, Education & Human Resources, Medical & Pharmaceutical, Public Sector, Third Sector & Legal, for more information visit https://pressreleasewire.responsesource.com/about.